This Valentine’s Day, the problem won’t be so much what to do as where to dine. A number of popular restaurants and fast-food chains are looking to help both couples and singles alike with their dining options on love’s biggest day—and the options are many. 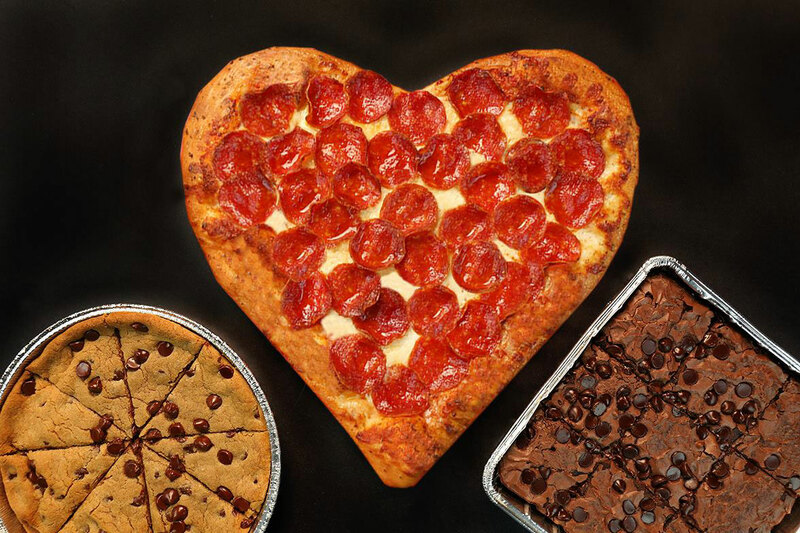 For those looking to dine in, Pizza Hut is bringing back its popular heart-shaped pizzas starting at just $12.99, with a bundled option that includes a brownie or chocolate chip cookie starting at $17.99. Other franchises looking to get in on the heart-love include Auntie Anne’s pretzels, which is offering a two-for-one deal heart-shaped pretzels on Valentine’s Day; Baskin Robbins, which is offering $2 off the heart-shaped Sweetheart Polar Pizza or $3 off any other ice cream cake purchase of $15 or more; and RA Sushi, a national sushi chain, which has created a “Soy Crazy for You” Roll that’s wrapped in pink soy paper and features lobster and strawberries. For those hoping to dine out, the choices are just as many. Denny’s is offering a unique chance to get married at its flagship location in Las Vegas for just $99 (the location actually has its own chapel, which opened in 2013). Another buzzworthy brand, Panera Bread, is promoting its Panera Proposal Sweepstakes, which encourages lovebirds to ask “Will you?” in or in front of a Panera Bread location. Five lucky winners will be selected at random and have their wedding reception catered completely free of charge. Other chains jumping on the love boat include Buca di Beppo (which will offer a heart-shaped lasagne), Chuck E. Cheese’s (which is offering a free brownie square to customers between 6 p.m. and 8 p.m. Wednesday), Olive Garden (offering a three-course meal for two for $35), and Qdoba (which is offering a buy-one-get-one-free deal in exchange for a smooch at checkout). Be the first to comment on "Celebrate True Love on Valentine’s Day at These Fast Food Chains Because Romance Is Real"